As a Korean skincare enthusiast, you may have recently heard the term “Glass Skin”. The clear, translucent, even and smooth properties of glass are a reflection of skin goals. To achieve glass skin is to achieve a complexion so clear that it resembles a sheet of glass. It is the ideal skin state, one of dewiness, clarity, evenness and youth. A key attribute of glass skin is excellent hydration and moisturisation in order to give skin a plump and dewy glow. The Korean skincare routine utilises multiple layers that contribute such properties including toner, essence, sheet masks and serums. Clarity is another objective, hence steps or products that will fight and help prevent skin imperfections like acne, redness and inflammation are important inclusions to overcome uneven tone, redness and blemishes. Try using an oil based first cleanser followed by a gentle second step foam or cream cleanser to achieve this. Excellent choices include the Leegeehaam Pure Cleansing Oil followed by the Neogen Green Tea Cleansing Stick. Choose between a scrub, peel or acid to slough away dead cells that can clog skin pores but make sure you only perform this step a few times a week so as not to overdo it, particularly if you are new to exfoliation or have sensitive or compromised skin. The By Wishtrend Mandelic 5% Prep Water is a gentle acid toner that makes a great introduction to chemical exfoliation. Alternatively, the Huxley Sweet Therapy Scrub Mask is a suitable physical option. The first layer of hydration is an important one. Korean toners focus on providing a pH balanced canvas upon which to layer and better penetrate the rest of the routine as well as delivering a solid initial hit of hydration. Popular and proven choices include the Klairs Supple Preparation and the Pyunkang Yul Essence Toners. Both make ideal candidates for the 7 Skin Method, the process that involves layering up to seven (less is often sufficient) consecutive layers of toner to achieve abundant hydration. Essence sits between toner and serum in Korean skincare as it is logically more concentrated than toner in delivering dedicated benefits and less potent than serum or ampoule. Essences with high concentrations of snail secretion filtrate help repair acne scars and even skin tone. Alternatively, you can deliver essence in the form of a sheet mask for extra soothing and luxury. 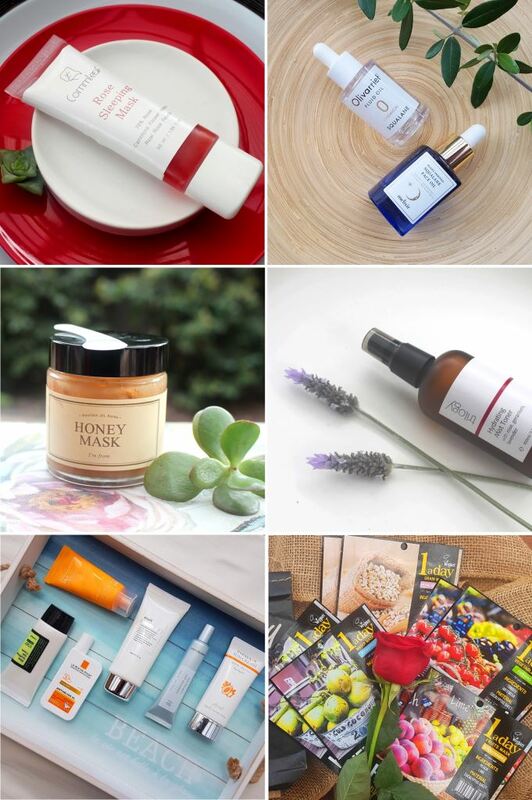 Great options include the Su:m37° Secret Essence or the Helloskin Jumiso First Skin Lightening Mask. Formulated to address particular skin concerns such as ageing, hydration, calming, texture and tone enhancement, serums and ampoules are highly concentrated treatments that help to nourish, calm and rejuvenate skin. 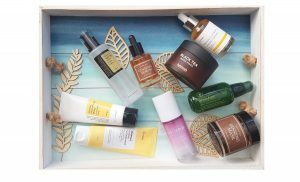 The Benton Snail Bee Ultimate Serum is designed to soothe and nourish the skin to keep it supple and the iconic Missha Night Repair Borabit Ampoule focuses on rejuvenating ageing skin. Moisturisers are a nourishing last step, Korean ones often formulated with botanical extracts for antioxidant strength and anti-inflammatory benefit. Ingredients such as centella asiatica and azulene are sometimes included for their calming and healing ability, a logical choice for those treating blemish prone or uneven skin. The Rovectin Cica Care Balm is a targeted moisturiser that is able to soothe and treat acne with madecassoside and calamine in addition to maintaining the moisture barrier with the brand’s renowned repair complex. It can be used for full face application or as a spot treatment. Meanwhile, the Dr Jart+ Ceramidin Cream focuses on moisturising dry and dehydrated skin while reinforcing the moisture barrier with ceramides. Similarly, eye products can help eliminate flakiness, dark circles and puffiness. For something a little different, try the Jayjun Roselle Tea or the Heimish Bulgarian Rosewater eye gel patches which will hydrate the face. As names suggest, they are particularly useful for plumping and refreshing the sensitive skin around the eyes. A mask every now and then plus regular mist spritzing throughout the day will boost your routine’s hydration goals. If you feel you need extra comfort, add oil to your routine. Protect your skin by wearing sunscreen every day and nurture it by applying your routine logically and consistently. If your skin is irritated, don’t exfoliate even if your schedule indicates you are due. Instead, substitute acids for more soothing products. Add that sheet mask, layer that soothing serum or snail essence… Learning to read your skin needs is vital to striving for and achieving a better complexion. Glass skin is skin perfection, a standard set higher than most of us can possibly achieve. However, with the help of dedicated products such as the excellent hydrators and treatments discussed, we can certainly reduce imperfections and enhance natural skin radiance. Build your Korean skincare routine slowly and be patient. 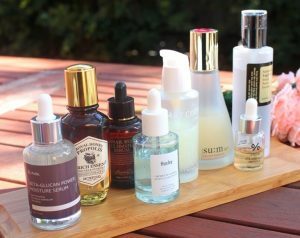 Don’t introduce a bunch of products at once as it’s then impossible to gauge which is working for your skin. It’s important to remember that everyone’s skin is different and will response in its own way to skincare products. Set yourself achievable goals and make it a personal challenge to improve your skin to a state that makes you happy. Korean skincare to help you achieve happy skin is available at April & Ko.